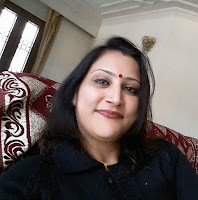 Setu ....................... सेतु: Morve Roshan K.
Morve Roshan K. has been working as a lecturer, teacher and translator. At present, she has been awarded a PhD degree from the Centre for Comparative Literature and Translation Studies, Central University of Gujarat, India in 18th November 2018. Also, she has awarded M. Phil degree from the same university and the centre in 2014. For M. Phil and PhD, she got awarded UGC Non-Net Fellowship. She has completed a project as an assistant researcher, she has completed a project on gender rural development by GIDR, Gandhinagar. Her last employment was at Children’s University, Gandhinagar as a guest lecturer Assistant Professor. Her expertise areas are African literature, post-colonial literature, gender studies, British literature, women studies, critical theories, diaspora studies, folklore Studies, English, comparative literature, and Islamic Studies. She has taught at Gujarat State Government School (taught English, in primary and middle School) as a volunteer for three years. In 7th July 2017, she got invitation for delivering a lecture by National Translation Mission, Mysore, Karnataka, India. She is the editor of Culture and Heritage Journal, Rajshahi, Bangladesh. However, she has shouldering the responsibilities as a core editorial team member of Café Dissensus (Spain based) international magazine. 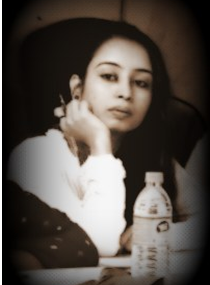 She is famous as a poetess, novelist, editor, translator and writer. She has a great contribution to edit and translate books from English to Marathi language. As a chief editor and translator, she has published 74 Children’s Literature books from Emesco Press, Hyderabad, India. She took part actively with her research works in many international symposiums and conferences. Also, she has presented papers in the collaboration of many countries: Bangladesh, Brunei Darussalam, Maldives, UK and Uzbekistan. She is familiar in an international arena for her research with high impact factors. She is co-author of books: The Criticism of Annihilation and Compassion in Emily Bronte’s Wuthering Heights (1847) (Winshield Press Book Publication 2018) and co-edited book Identity Negotiations and Marginality: The Theoretical Perspectives in the Contemporary Age (Winshield Press Book Publication 2018). She has published 15 articles in international journals. Also, her 2 poems and a short story have published by reputed magazines (USA based) and international Journals. Morve Roshan K. has presented 24 papers in national and international conferences, seminars and symposiums. She got 9 travel grants from national and international government and other institutional organizer’s bodies. Her interview (The interview taken by Mehedi Hasan and Dr Md Habibur Rahman) on “The History of Bangladesh” has published in the Daily Ittefaq Newspaper Press, Dhaka, Bangladesh, July 2017. Labels: Author , English , India , Morve Roshan K.